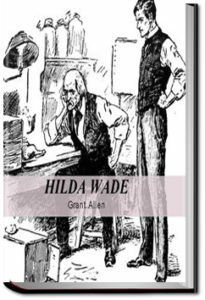 In this early detective novel, the detective is Hilda Wade. She is a very capable nurse, but there is something mysterious about her from the moment she arrives at the hospital. Upon meeting her, Dr. Hubert Cumberledge greatly admires her and becomes a devoted friend. It turns out that Hilda has one purpose in life, and in pursuit of that purpose she will travel across the world, from London to South Africa, Rhodesia, India, Nepaul, Tibet and back. With Cumberledge’s support, her extraordinary logic and clear thinking lead her on through deadly perils. But will that be enough to accomplish the secret purpose which has driven her so long and so far? This entry was posted in Reading on October 26, 2017 by all-you-can-books.